Special consideration for socially disadvantaged, limited resources and beginning farmers, ranchers. The cutoff for applications for the Natural Resources Conservation Service Environmental Quality Incentives Program (EQIP) and the Wildlife Habitat Incentives Program (WHIP) to be considered for funding in Fiscal Year 2012 is Nov. 15, says state conservationist Eric Banks. "These programs are very popular in Kansas, and I know fall is a busy season. The NRCS wants everyone to have the opportunity to develop a conservation plan and submit an application in time," said Banks. Applications are accepted year round, but those received by Nov. 15, 2011, will be evaluated for Fiscal Year 2012 funding. Applicants must meet certain eligibility requirements. "EQIP and WHIP help address the unique circumstances and concerns of socially disadvantaged, limited resource, and beginning farmers and ranchers, who have natural resource concerns that need to be addressed on their land," said Banks. Qualifying Kansas producers compete separately and receive higher payment rates. A socially disadvantaged farmer is an individual or entity who is a member of a socially disadvantaged group whose members have been subject to racial or ethnic prejudice. These groups include American Indians or Alaskan natives, Asians, blacks or African Americans, or Native Hawaiians or other Pacific Islanders and Hispanics. A beginning farmer or rancher is an individual or entity who has not operated a farm or ranch or who operated a farm or ranch for not more than 10 years. In the case of entitites, all members must materially and substantially participate in the operation of the farm or ranch. A limited resource farmer or rancher is a participant who with direct or indirect gross farm sales not more than the current indexed value in each of the previous two years and who has a total household income at or below the national poverty level for a family of four, or less than half of the county median household income in each of the previous two years. EQIP is a voluntary conservation program that promotes environmental quality and assists producers to meet local, state, and federal regulations. 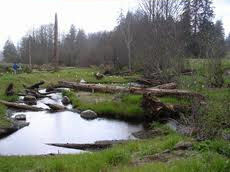 WHIP is a voluntary program that assists landowners and other participants who want to develop or enhance aquatic or terrestrial wildlife habitat on private land. Participants can receive both technical and financial assistance to improve or develop terrestrial or aquatic habitat on their land. Most land is eligible for WHIP, which provides the opportunity to improve wildlife habitat on land that may not be eligible for other programs. For more information visit the Kansas NRCS Web site www.ks.nrcs.usda.gov/programs or your local U.S. Department of Agriculture Service Center. To find a service center near you, check in your telephone book under "United States Government" or on the Internet at www.offices.usda.gov.